Manuka Honey is produced in the remote areas of New Zealand and is well known for its unique properties. 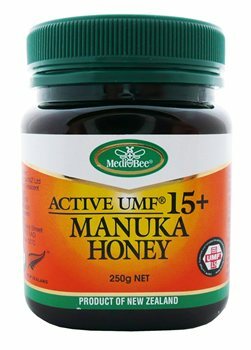 MediBee UMF 15 Manuka Honey has been tested to ensure a UMF level of at least 15. I adore this honey - I do not like any other honey apart from Manuka and before I tried this one I couldn't even stand the smell of ordinary honey. It is rich and of course sweet but its lush! The shipping of this product was extremely fast too! I recently bought +10 of this produce. What is the recommended daily dosage?